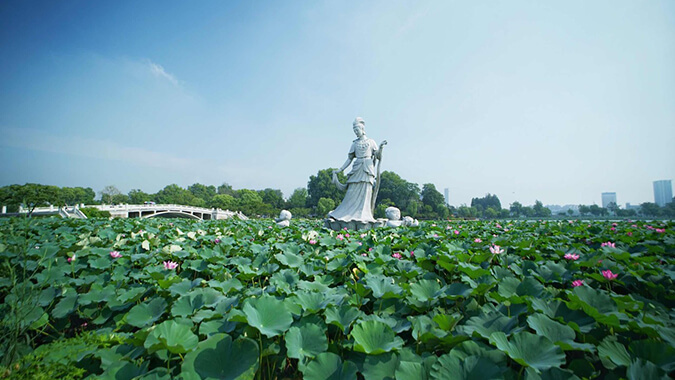 Xuanwu Lake Lotus Festival, a festival held at the full blossom season of the lotus in Xuanwu Lake scenic area, Nanjing City, Jiangsu Province, is specially designed for lotus appreciation in summer. This year, the “Lotus” having an appointment with you—2018 Xuanwu Lake Lotus Festival will be held at Xuanwu Lake scenic area from June 16, 2018 to August 22, 2018. 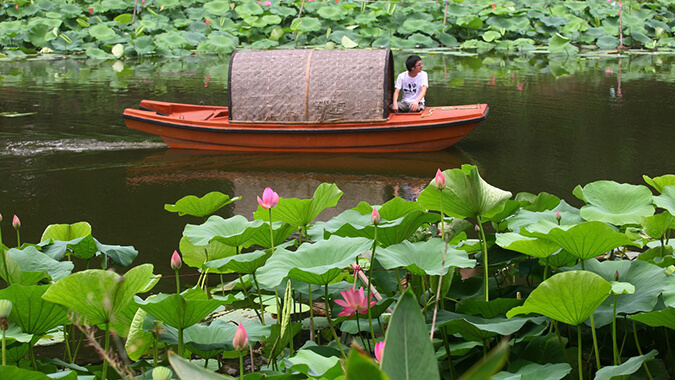 Beginning from June, the lotus flowers in each lake area of Xuanwu Lake begin to bloom in sequence. 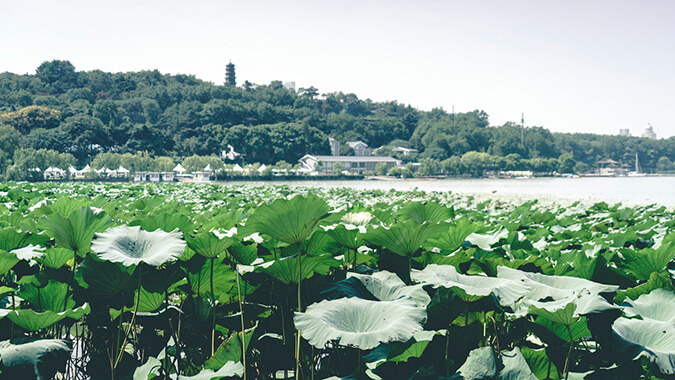 According to the introduction, among the 5000 mu of water at Xuanwu Lake, nearly 500 mu is planted with lotuses. The lotus leaves “commandeered” large areas of water. Walking on the road around the lake, the magnificent momentum of “endless green lotus leaves” can be seen everywhere. The lotus flowers here are mainly Xuanwu red lotuses, among which there are Jinhu white lotuses, white lotuses, etc., for which the areas of concentrated-scale are the inner lake among Heping Gate, Taiping Gate and Yinghuanzhou and the Huanhu Road Area on the northeast side of Cuizhou. Besides the lotuses that can be appreciated, the Thalia dealbata, the Shuttle Garment Glass, the Lythrum salicaria, the water lily, the Nymphoides peltatum at the scenic spots of Ecological Wetland at the south of Cuizhou as well as Water Garden of Qinglv Garden and other places are in full –blossom period. 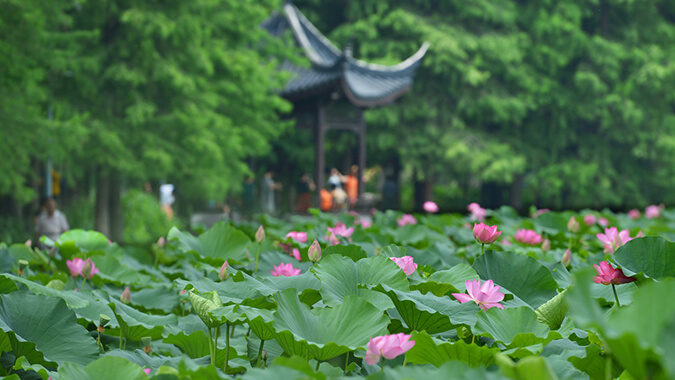 It is worth mentioning that if you want to appreciate the diverse postures of lotus flowers, you need go to the Jinling Miniature Landscape Garden at Liangzhou. This summer, in the Miniature Landscape Garden, there are more than 200 varieties and more than 350 pots of in-cylinder-plant lotus flowers ushering in the blooming period. Mainly Thousand-Pedal Lotus, Golden Sun, Secret Mistress, Ai Jiangnan, Jiangnan Misty Rain and Yellow Peony and other varieties are there. The petals are bright, glittering and translucent, with a variety of colors and patterns. A high-quality lotus appreciation route is recommended: Xuanwu Gate – Rockery Waterfall – Miniature Landscape Garden at Liangzhou – Liangcui Dike – Cuizhou – Yingzhou – Xuanwu Gate. In addition, tourists can take large and small cruise ships to enjoy the lotus flowers while being close to them on the water.